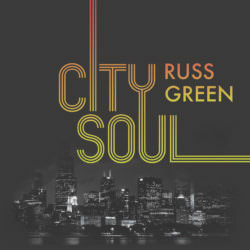 Russ Green’s debut album, “City Soul,” is a love letter to the Windy City and all the musicians who helped create its legendary sound. The ten original tracks, recorded at Rax Trax in Chicago by renowned engineer Rick Barnes, was co-produced by Russ and Sam Clayton and features a select group of the city’s hottest session players. Green takes on the difficult social issues of poverty, homelessness, abuse and desperation that plague the inner city on the theatrical ‘Train Of Pain.’ The slinky blues ‘Up From The Bottom’ features some slick ice pickin’ guitar work from Giles Cory, and bass man Marvin Little leads the charge clearing the way for Green to tell the tale of a man down on his luck on the blazing chi-town funk, ‘Lint In My Pocket.’ The crew pushes the envelope on the style shifting ‘Something New,’ with Vince Agwada tossing some greasy slide guitar into the mix of modern blues rock. The album closes with a classic R&B groover ‘Love To Give,’ with Green trading off between a soulful vocal line and screaming blues harp, showing off the chops that are certain to win him new fans and satisfy his legion of loyal followers. Harmonica player and singer Russ Green’s journey into the blues is different than those of most musicians. Russ was born in Chicago and grew up on the city’s west side. Although, throughout his life he had listened to all types of music, his desire to play wasn’t realized until his adult years. After being discharged from the U.S. Army, Russ attended Southern Illinois University at Carbondale where he studied film. It was at this time that his desire to play music began to grow. Like lots of fans of Jimi Hendrix, Russ wanted to be able to re-create the sounds of the man whom he had admired for many years. But being a film student and having all his money going to these films, he couldn’t afford to buy a guitar. Undaunted by this realization, Russ remembered the purchase of a harmonica from a west side shop a few years earlier. The ability to re-create the sounds of Hendrix was becoming realized, not with a guitar, but with a harmonica! Before leaving Southern Illinois, he was told that when he got back to Chicago he should check out Sugar Blue, described as one of the best harmonica players in Chicago. So, on his first Friday night back in Chicago Russ went out and found a Chicago Reader to see who was playing where in the city. And there it was, Sugar Blue at Blues Etc., one of Chicago’s premiere blues clubs on the North side. Mind blown by what he was hearing and seeing, Russ sat down at a high-top table not far from the bandstand. As he sat he saw a card on the table that said “tonight at Blues Etc. Sugar Blue the Charlie Parker of the harmonica and the Jimi Hendrix of the blues harp.” That’s it! That is what he wanted to be and it’s right in front of him. And the song the band was playing when he first arrived, it was ‘Miss You’ by The Rolling Stones, a song that Sugar Blue played on during his time with the band. He spent the next three months in Chicago going out to see Sugar Blue wherever he was playing but was too intimidated to speak to him. Russ then moved to Seattle, a city that captured his heart while he was in the Army. 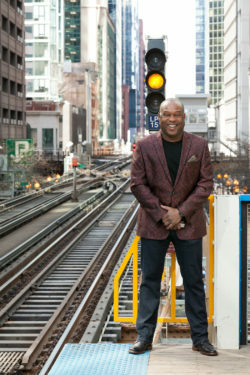 His return to Chicago, some three years later, was not only an opportunity to learn from Sugar Blue, but also brought about the realization of a lifelong dream for Russ, working in film production. He started in television commercials and moved into television shows and feature films. Starting as a Production Assistant, he worked his way to Assistant Director and became a member of the Director’s Guild of America. Television shows include E.R. and Prison Break. Feature films include Soul Food, The Break-Up, Hardball, Save the Last Dance, Road to Perdition, Tears of the Sun and many more. With actors Paul Newman, Tom Hanks, Daniel Craig, Vince Vaughn, Vanessa Williams, Jude Law, Bruce Willis and many others. Russ even joined fellow harmonica player Bruce Willis on stage with his band while working on Tears of the Sun in Hawaii. Musically Russ’ career has continued to grow since returning to Chicago. Not only has he been tremendously influenced by Sugar Blue, but also by Chicago’s other legendary harmonica player, Billy Branch. He playfully describes his relationship with his two mentors as like two little devils standing on each shoulder whispering in his ear of how he should play. He has also played, recorded and toured with John Primer and Lurrie Bell. His producing credits include a recording for Big Llou Johnson, from B.B. King’s Bluesville on SiriusXM, that won a Blues Music Award for Best New Artist. He is also one of the harmonica players featured on an album, Chicago Blues Harmonica Project, that has received rave reviews and has been played on radio stations around the world. This recording has been credited with proving that the harmonica is still alive and vibrant in Chicago. 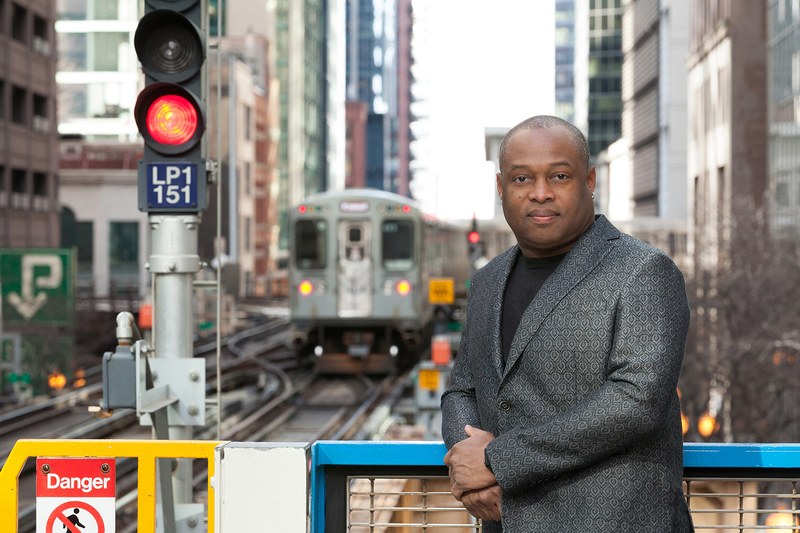 Russ has performed at numerous blues festivals, including the Chicago Blues Festival, the Burnley Mechanics Blues festival, the Gloucester Blues Festival, and the San Francisco Blues Festival, to name just a few. At this point the journey for Russ Green is rolling on! « Harper Grae’s “Bloodline” Music Video Premiered t’other day.